Unified heavyweight world champion Anthony Joshua will return to Wembley Stadium for his next two fights. 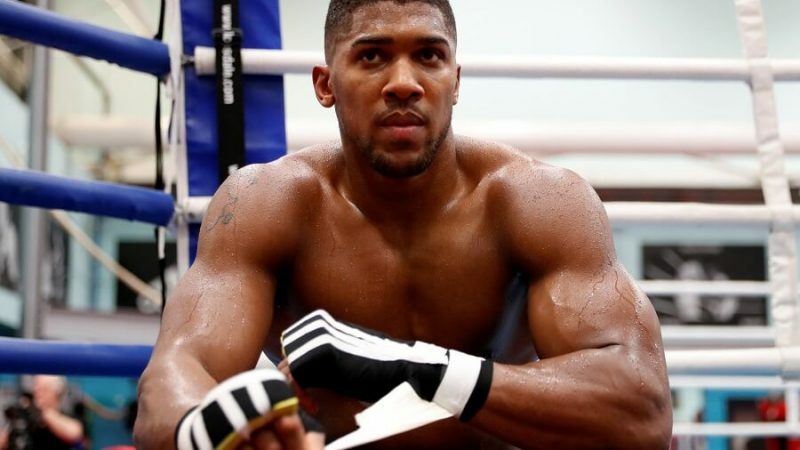 Joshua, 28, has signed a two-fight deal to compete at the national stadium on 22 September and 13 April. The WBA, IBF and WBO champion beat Wladimir Klitschko there in April 2017 but has since fought twice at Cardiff’s Principality Stadium. “Being north London born and raised, it is in my blood. Wembley just added a fourth lion to the den,” said Joshua. His opponent on 22 September will be confirmed next week but is expected to be Russia’s Alexander Povetkin, the WBA’s mandatory challenger, with a view to facing American WBC world champion Deontay Wilder for all four belts in April. Joshua thanked fans who attended his dates in the Welsh capital where he scored a stoppage win over Carlos Takam in October and added the WBC belt to his collection by out-pointing Joseph Parker in March. Wembley gives his promoters a potential 90,000 seats to sell, with London mayor Sadiq Khan having worked with Transport for London to delay engineering works that might have led to a reduced capacity. “I don’t think anyone will forget that night of 29 April against Klitschko and we plan to bring two more dramatic events to Wembley Stadium in September and April,” said Joshua’s prompter Eddie Hearn.